This Lakeside 70410 red maple Condi-Express 4 pump condiment cart offers versatility and ease of sanitation in a convenient, mobile cart! Use this cart in your cafeteria or school lunch room to provide all of your customers' favorite condiments in one accessible spot. 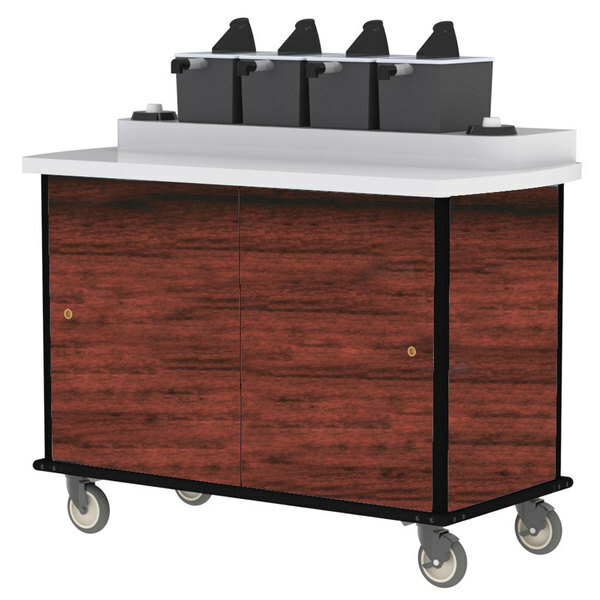 In addition, this cart features two built-in cup dispensers for condiment cups, giving your customers the perfect way to hold condiments apart from their food. This cart offers a 4 pump design, which means that you can serve up to 4 condiments at one time.